West Creek Conservancy (formerly West Creek Preservation Committee) protects local natural areas, open spaces, streams and waterways right here in our community. We’re reclaiming vacant urban lands and restoring streams, wetlands, woods and natural habitats. And we’re establishing trails and greenways to link people and neighborhoods not only to these special places, but to each other as well. At West Creek Conservancy, we believe that clean streams and rivers, abundant natural areas, neighborhood green space, and beautiful walking and biking trails are an important part of healthy, vibrant, successful communities. 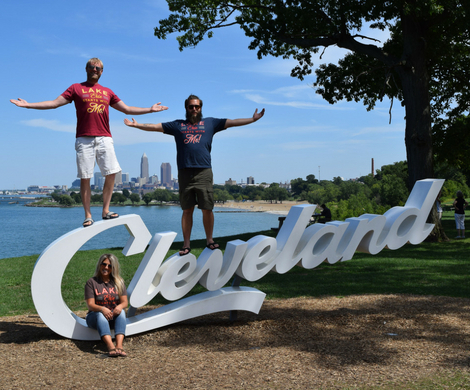 We are dedicated to our mission of local conservation because Greater Cleveland is our home, and we want it to be as great a place to live as possible. We invite you to help West Creek Conservancy make Cleveland a Greener place to live. The organization collaborates with individuals, landowners, non-profits, community groups, municipalities, and businesses on many different conservation, clean water, land re-use, and trail projects. We have many opportunities for volunteers, as well as opportunities to get outside, learn about, and enjoy our local environment. Whether you attend a meeting or outing, make a donation, protect your land, or volunteer, your participation makes a difference. Thank you! Protects natural areas by acquiring land and conservation easements, through purchase or donation. Strong focus on streams, rivers, and watershed protection and restoration. Works collaboratively to restore water quality and natural habitats in the urban environment. Reclaims and re-uses vacant urban land. Facilitates recreational trails and greenways, connecting people with nature. Founded by residents in 1997, incorporated in 2000. Our mission is to enrich the lives of people in Greater Cleveland by conserving natural habitats, restoring the ecological value and sustainability of urban lands, and expanding neighborhood opportunities to experience nature.